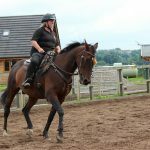 Here at Ross Dhu Equestrian Centre, the home of Equido, we are a source of everything to do with horses, so we thought we’d share with our readers some of the more least known simple facts about horses…. Of all land mammals, horses are known to have the largest eyes. Within hours after they are born, horses are capable of running. Horses sometimes appear to be laughing. Actually, they are not. They are rather engaging themselves in a technique known as Flehmen. This is a nose enhancing technique that they use for determining whether a smell is a good one or a bad one. Horses are not colour blind as thought previously. They can see colours. However, violets and purples are the most challenging colours for a horse to see, whereas greens and yellows are seen better. The teeth of a horse take up more space in its head compared to its brain. A female horse has 36 teeth and a male horse has 40 teeth. That’s one way of differentiating between a male horse and a female horse. Alternatively, and probably easier is to check their reproductive organs! The hooves of a horse are made up of Keratin, a protein that makes up human nails and hair. 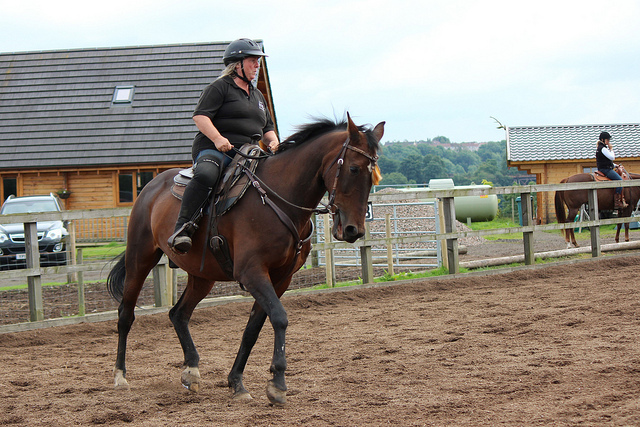 Horses are capable of dozing standing up as they have a series of ligaments and tendon arrangements that allow their legs to “lock” straight whilst their muscles relax. However they have to lie down to achieve true REM (Rapid Eye Movement or dream) sleep. Horses are capable of seeing almost 360 degrees at any given time. They only have two blind spots, one directly in front and one directly behind. They see in binocular vision to the front and monocular vision from each eye on the corresponding side this is because their eyes are located on the sides of their heads. Horses are capable of communicating feelings using facial expressions, and we see this everyday here at Ross Dhu Equestrian, where we care for many horses on a daily basis.